History: A first individual, completely covered by black fusion crust, was found by a nomad while searching for historical artifacts near the former salt mines of Taoudenni, northern Mali. During the following systematic search many fragments totaling 85 kg were recovered from a strewn field about 10 km in diameter. 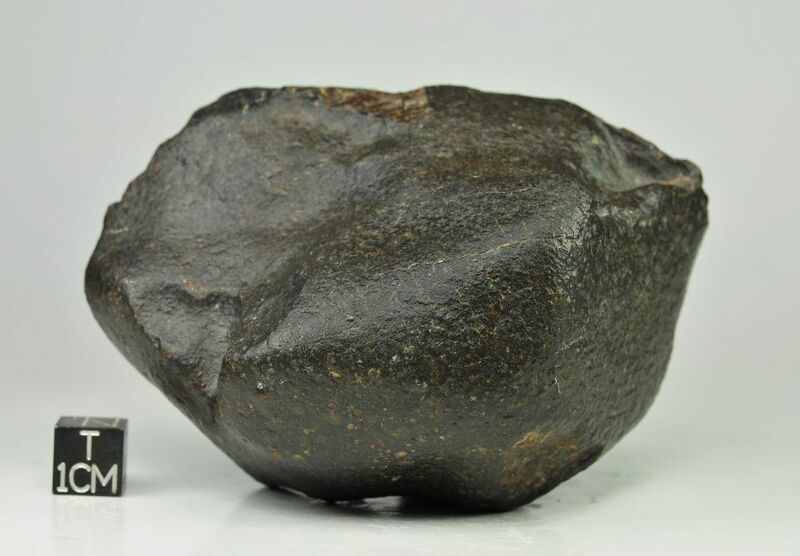 Petrography: The meteorite is an H type breccia consisting of completely recrystallized type 6 and less intensely recrystallized type 5 fragments. The latter contain delineated chondrules. The meteorite is strongly shocked (S4), i.e., olivine shows mosaicism.